"I was always looking for a web designer that not only knew how to make a site look great, but also knew about the music industry. When I was introduced to Pat, I felt I had hit the jackpot! "A website for me must contain the key features to keep traffic coming your way." This is what Pat told me when I first started talking with him re making my site... and he was right! Totally happy with my new website, it has all the features one could wish for... Brilliant job!" "Working with Pat is so easy, he always seems to know what I want. He's quick on the ball, very creative and always comes up with something fresh and hip! Love working with him, he's a dude!!" "Pat is a pleasure to work with. He is very attentive to my needs and has clearly done his homework. The website he provided me with is exactly what I was looking for. His professional and creative approach helped tremendously in every aspect of the site. And as a photographer, he has a true talent for capturing the essence of his subjects. One of the very best photographers I've had the honor of working with. Trust me, when it comes to web design and photography, few can stand toe to toe with Pat!" 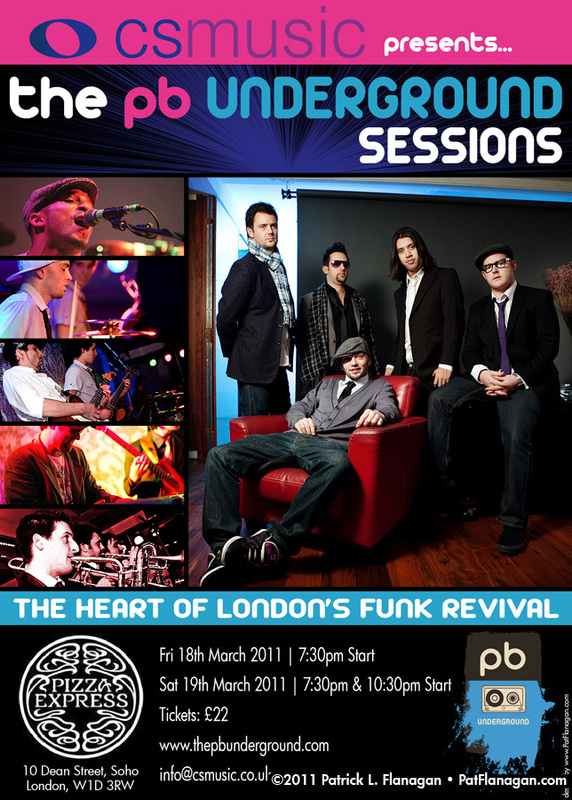 Pete Ray Biggin of The PB Underground, a London-based R&B/funk/soul collective group, needed an email newsletter flyer designed to publicize upcoming gigs at London’s prestigious Pizza Express Soho Jazz Club. 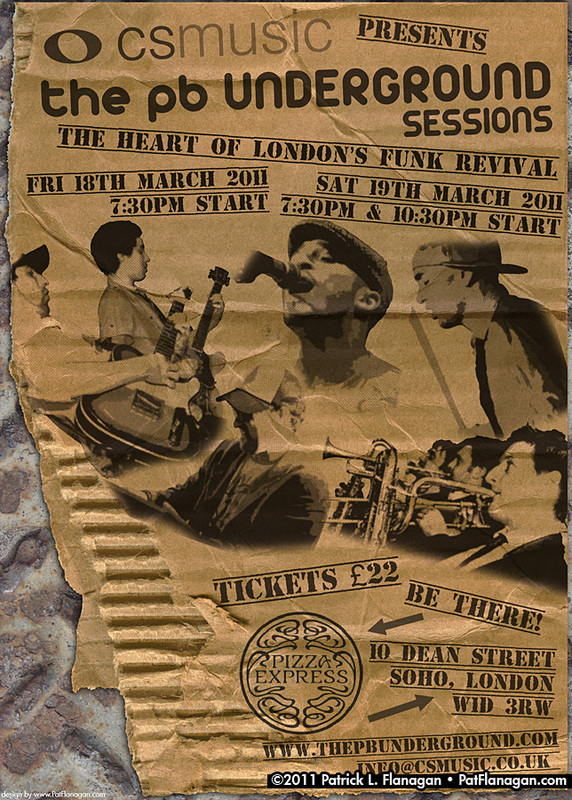 Two designs were developed — a “traditional” flyer with band photos, plus an “offbeat” flyer designed to look like a torn piece of cardboard. Though the flyers were designed for email use, they were designed at half-sheet print size anyway for maximum flexibility.